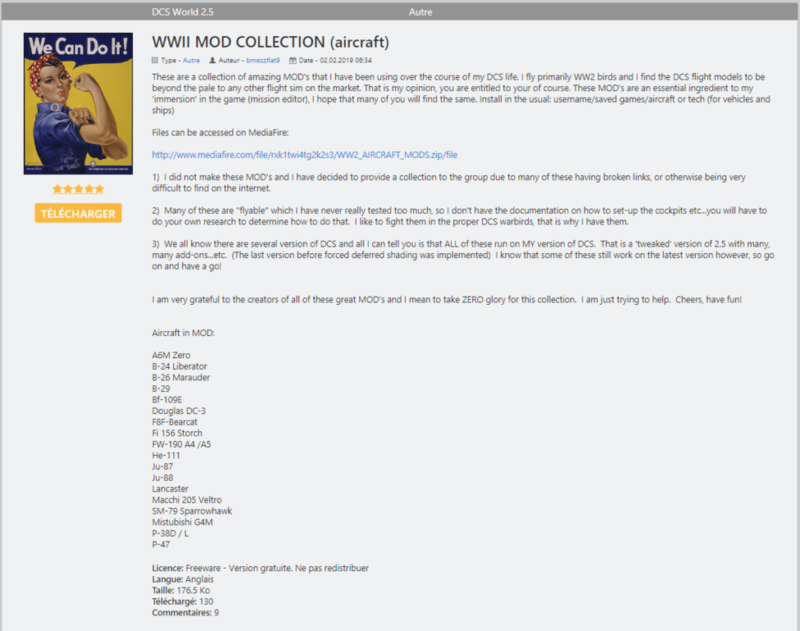 posté le 22.02.2019 sur le site DCS dans la partie "fichiers utilisateurs", un pack nommé, WWII MOD COLLECTION. "1) I did not make these MOD's and I have decided to provide a collection to the group due to many of these having broken links, or otherwise being very difficult to find on the internet. 2) Many of these are "flyable" which I have never really tested too much, so I don't have the documentation on how to set-up the cockpits etc...you will have to do your own research to determine how to do that. 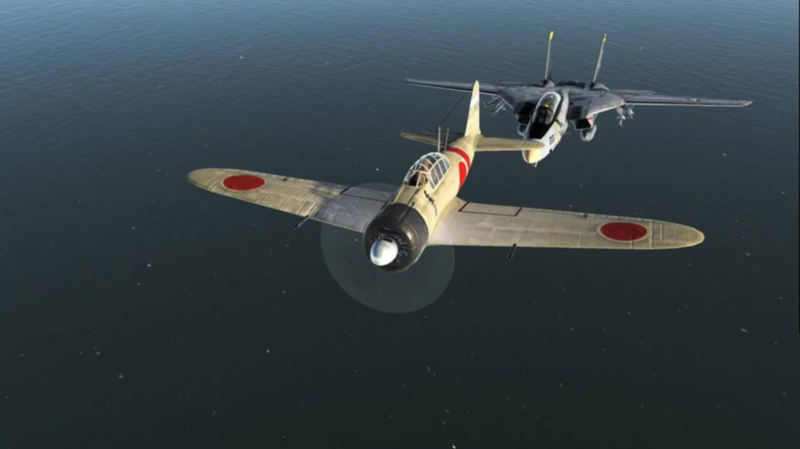 I like to fight them in the proper DCS warbirds, that is why I have them. 3) We all know there are several version of DCS and all I can tell you is that ALL of these run on MY version of DCS. That is a 'tweaked' version of 2.5 with many, many add-ons...etc. (The last version before forced deferred shading was implemented) I know that some of these still work on the latest version however, so go on and have a go! I am very grateful to the creators of all of these great MOD's and I mean to take ZERO glory for this collection. I am just trying to help. Cheers, have fun!" Dernière modification par PhilMcFly le jeu. avr. 11, 2019 6:40 pm, modifié 3 fois. Est-ce que chacun de ces avions a aussi un cockpit spécifique ?